Wilton’s is saddened to hear of the passing of Peter Honri. 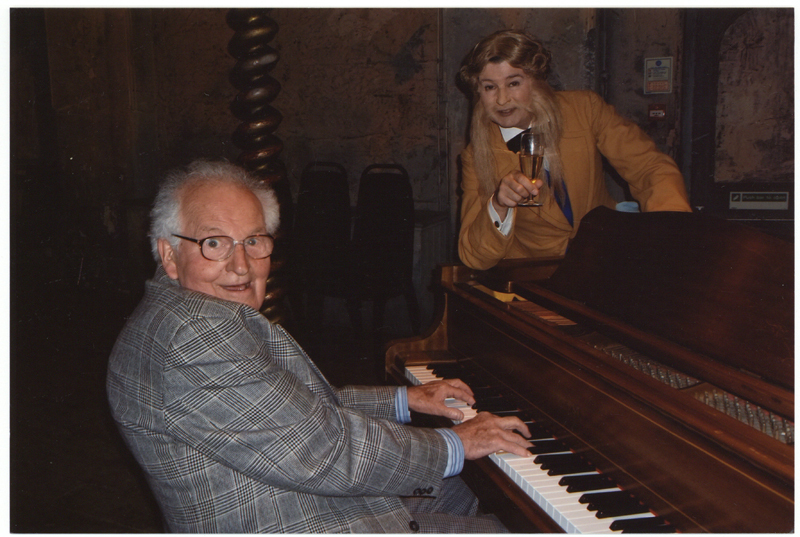 Peter was one of Wilton’s chief campaigners who worked tirelessly to save Wilton’s Music Hall. Born in 1929, Peter was a natural performer, and in 1951 formed jazz band the High Curley Stompers. An accomplished musician he inherited his grandfather’s talent on the concertina, above pictured with Mary Honri and Roy Hudd. He was the fourth generation of a line of renowned variety performers. His grandfather, Percy Honri, performed with his parents as the Royal Thompson Trio. When appearing in Paris a spelling error of Percy Henry birthed the name ‘Honri’ which stuck throughout his career. Peter’s father formally changed the family name, with Peter becoming the first to be born ‘Honri’. Peter joined the fight for Wilton’s in 1972 and was part of the first Trust for the Restoration of Wilton’s. As a member of Equity and with his network of industry friends, Peter wrote tirelessly to the leading lights of variety entertainment to build support for the struggling Wilton’s. Along with Marius Goring he fought against the GLC’s granting Wilton’s lease to the Half Moon Theatre Company, believing this threatened to turn the populist music hall to an overtly political theatre. Their success raised plans for a National Centre for Variety Entertainment. 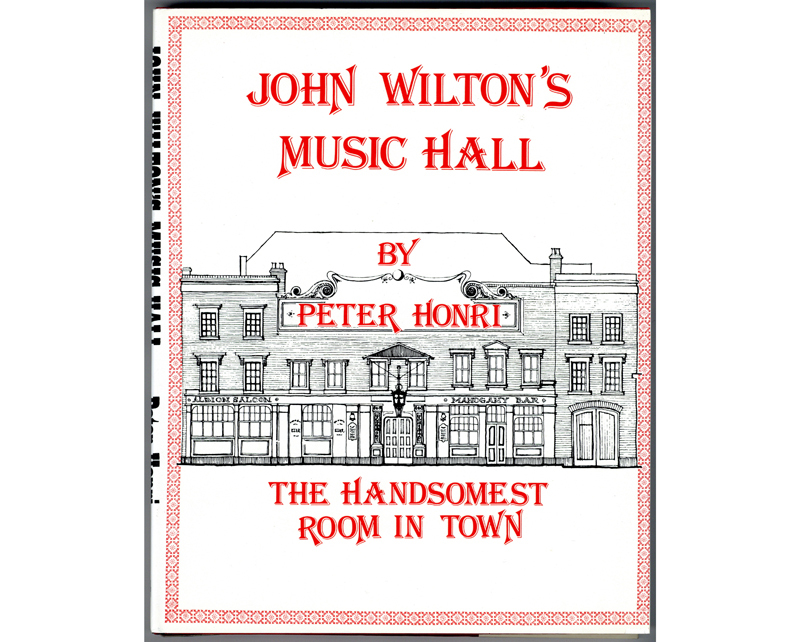 In 1978 Peter became the founder-director of the newly formed London Music Hall Protection Society; the group tasked with restoring Wilton’s and named after an 1860 organisation established by John Wilton himself to oppose a bill preventing music halls from any form of spoken performance. As Artistic Director, Peter prepared ‘An Artistic Blueprint’ for Wilton’s. 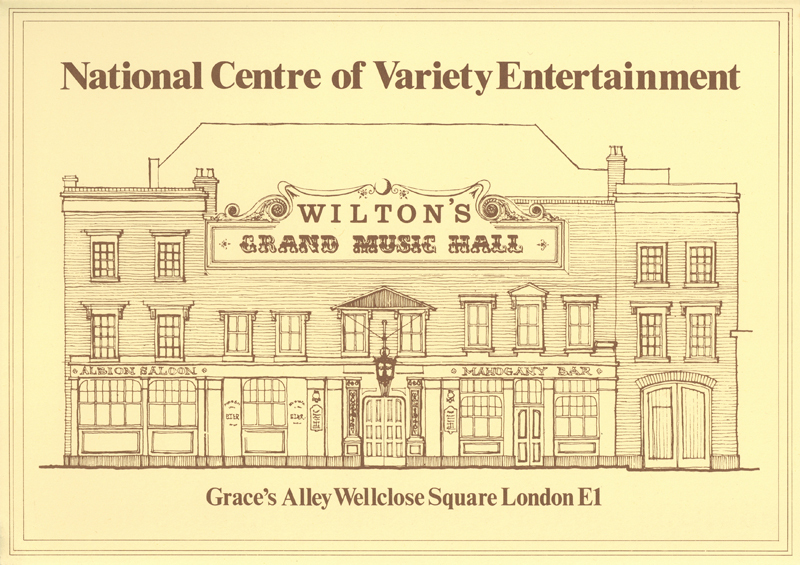 Based on a return to classic music hall format, proposed shows such as ‘Wilton’s Varieties’ aimed to discover and encourage new talent in variety performance. The campaign launch took place at All Hallows by the Tower after the granting of the lease to Wilton’s for a peppercorn rent. In reference to the historic Knollys Rose Ceremony, a symbolic rent tradition dating back to 1381, Peter placed a rose on the altar cushion. 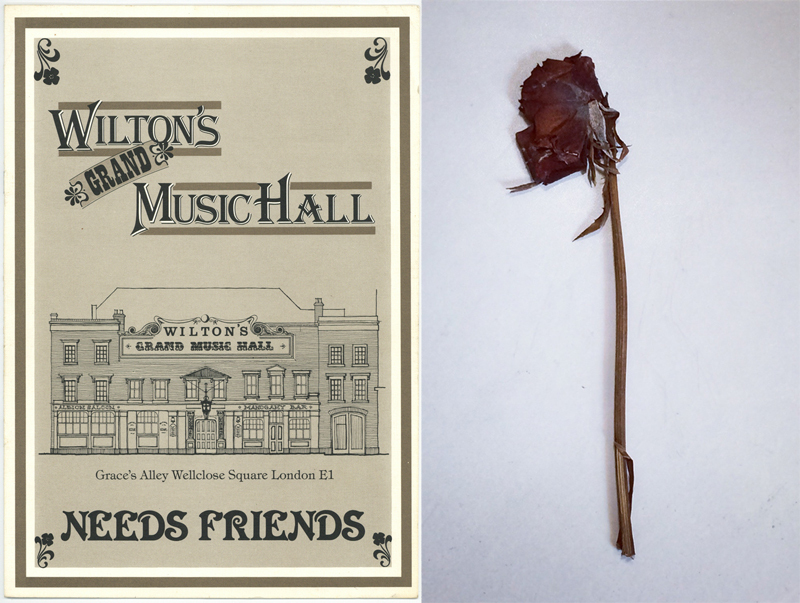 That preserved flower is now held as a treasured item in the Wilton’s archive. After a series of fundraising events work was finally commenced on the restoration of Wilton’s, with work replacing and restoring the hall roof begun in the early 1980s. Peter’s interest in the history of the hall, as well as his concern for the future of the building, lead to his research into the life of John Wilton and the acts who performed on the Wilton’s stage. He compiled his findings and imaginings of the era into his book ‘The Handsomest Room in Town’, written as a diary of Wilton’s founder. Funding to continue building work could not be sustained and Wilton's remained derelict until the recent conservation and repair. 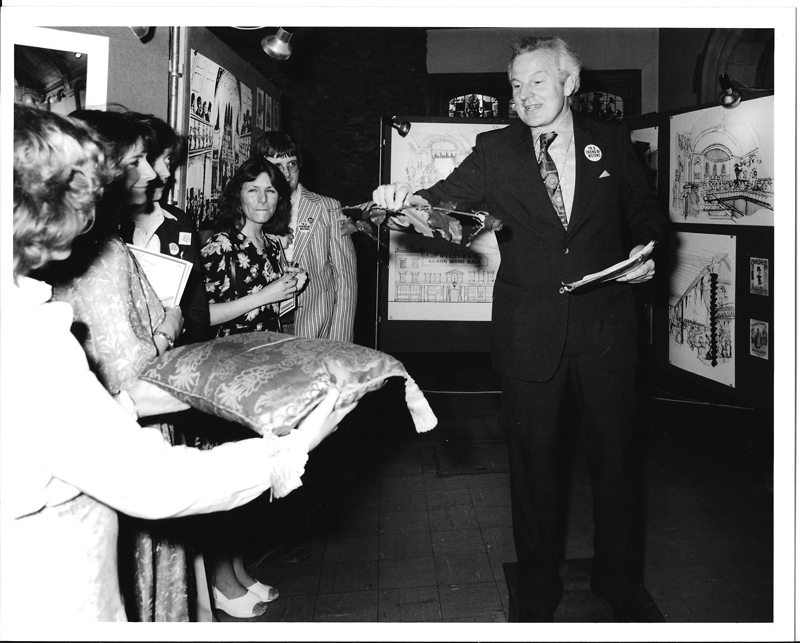 Throughout the years Peter Honri remained an enthusiastic champion of Wilton’s. His belief that Wilton’s could be restored and become a viable and popular performance venue has borne out. Peter returned to see the completed Wilton’s and is seen here performing in the hall with Christopher Beeching as Champagne Charlie. Passion and commitment like Peter’s, as much as stone and steel, has supported Wilton’s rescue and repair. Having been brought into a wreck of a building it was a proud moment that Peter was able to sign on the lease ‘return to original use’.